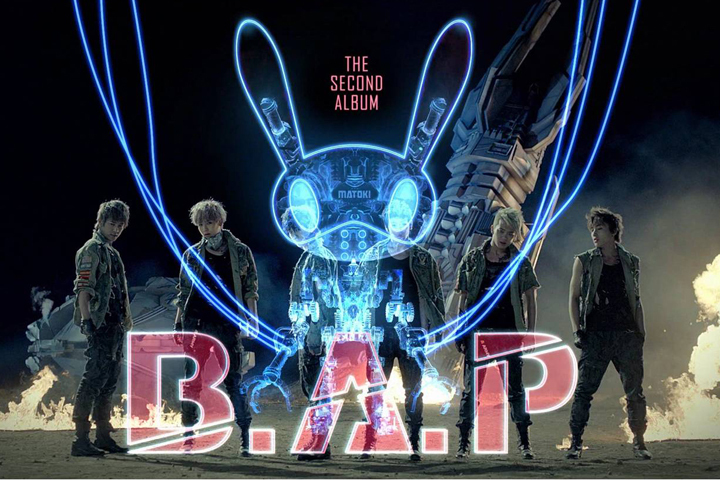 The new song “Power” from B.A.P is finally out! I’m glad it’s not a repeat of “Warrior” (because some groups just do that) as much as i love “Warrior” because there just won’t be a point to that. Though it isn’t my favourite song right now, i’m sure it will grow on me just like “Warrior” did. (It’s actually growing on me already after listening to it around 5 times). This intro is… interesting. Yes, i’m not sure how to describe it in kpop terms, but i can sure as tell you that this is not kpop. It actually has a “rock n’ roll-style” feel. I kid you not. It’s a good song for a intro because you can actually hear a similar recurring theme in Power near the ending. 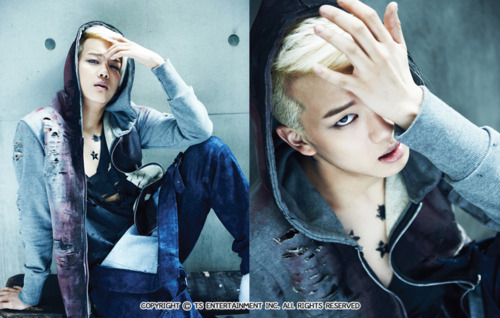 It starts of with Bang Yong Guk’s fierce rapping amidst a really strong background music. The chorus starts of with what we all heard at the end of their teaser “We got the power”. The part where they go “warning warning warning” catches my attention. It’s actually a style that i’ve heard before in english songs (but i can’t really put my finger as to where i’ve heard it before, i’ll tell you when i think of it, or maybe you can help me out). 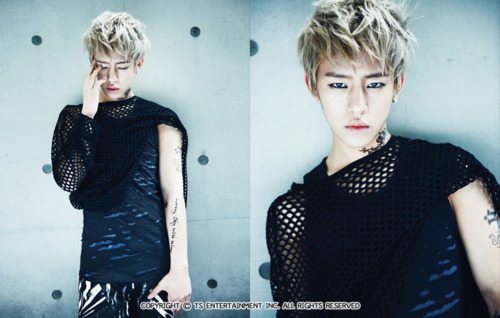 You can also hear Yong Guk’s “B.A.P”. 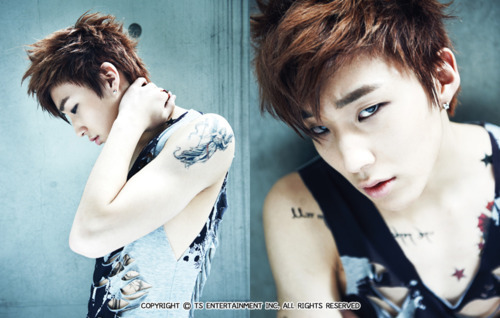 I think Him Chan and Jong Up did a really good job here. Him Chan actually has a lot of control over the type of voice he wants to use, he looks like he will be good at imitating people’s voice (not just Yong Guk). Initially, i got a bit thrown of with the starting because there isn’t much of a build up before you hear Yong Guk’s rapping and we all know how fierce his rap (but you get used to it). I felt that the chorus was a bit awkward at the beginning too but now i’m just loving the whole song. (so don’t turn your back on this song till you’ve given it a chance to appeal to you.) Love the MV by the way, though the spraying-dance caught me off guard. Hmm. But what can i say, it’s so POWERful as usual and their current signature move in this MV is to cover their mouth (haha, funny how i can make it sound so plain). The album turns the volume down in this song. At first, i’m getting a Linkin Park feel because of the organs, like a rock song (there’s still their signature “HUU!” though haha). This song has a more familiar kpop feel (not really) than the previous two but it’s still a song you will like after the first listen. The album ends on a soft note with this slow song – almost ballad. This song lets them show off their vocal abilities and different sides (including the rap parts). 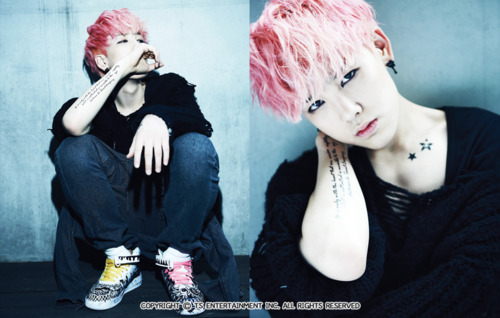 I love how Zelo does his ‘gentle’ rap. It’s done really sexily, nothing too over-the-top or cheesy. Overall, i like how they arranged the track list: Strong to Soft. It’s a very simple but effective way. I also liked how that even in this album, they inserted little ‘reminders’ of their previous album like the “b.a.p” in ‘POWER’ and “HUU!” in ‘What the hell’. I really appreciate how even though this is kpop, they are gaining inspiration from other kinds of music, i believe that’s music should be about. There are a hell lot of different genres of music out there that can inspire new material. I’m afraid for other rookies this year, you guys have really good competition here. With their previous song ‘Warrior’, they had an equally draining choreography yet they can still sing live so well, and i am sure that they will do the same for their upcoming live. 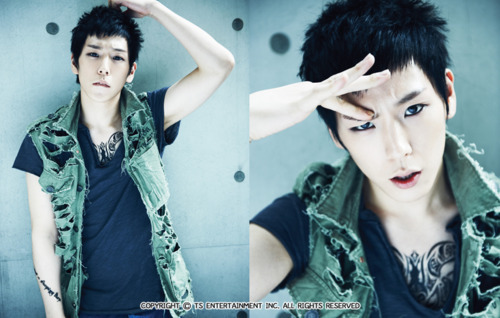 (sorry, my bias is showing ain’t it? i can’t help it!) How can anyone not like these guys. Oh… i see what you mean. Didn’t really occur to me at that time, thanks for sharing, those are some keen ears and good memory you have.